Early 20th Century c.1911/12 Absolutely MINT condition Avery Scale Plate. These make great cheese plates or just lovely to display. No damage, no crazing and lovely and clean...pure white. Centrally there is the Royal Crest "BY APPOINTMENT TO THE LATE KING EDWARD VII. 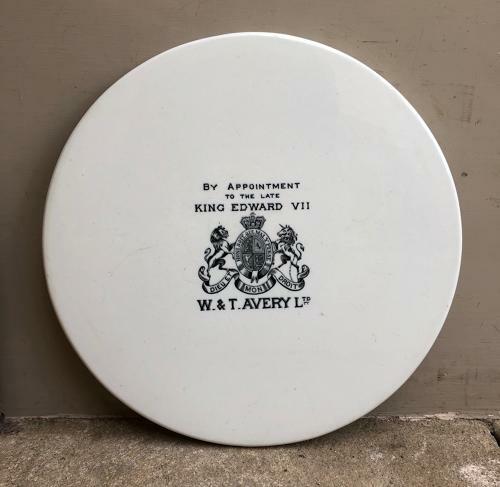 W & T AVERY LTD"
Post first class signed for, for £9.95 (Thick heavy plate).